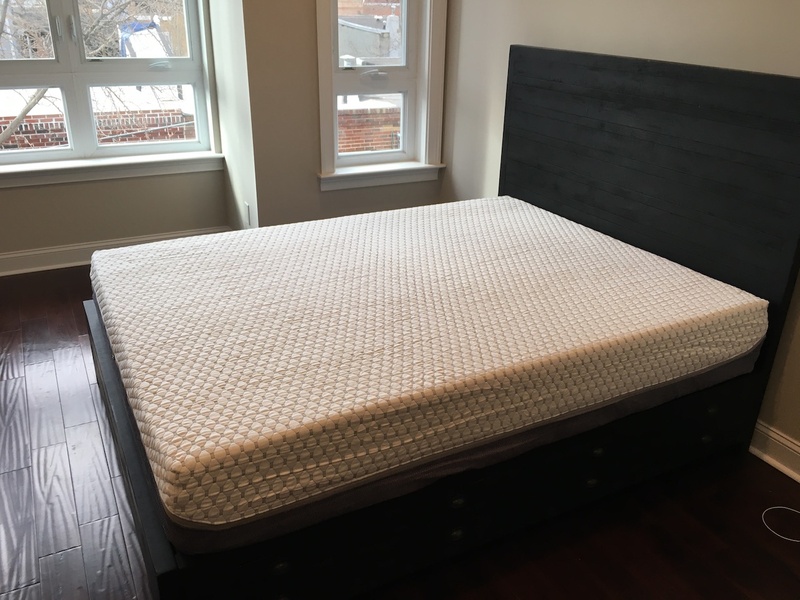 This Muse Mattress Review was recently completed by the MattressJunkie.com team. Viscosoft is the parent company of Muse and all mattresses are made in the USA. The Muse Mattress was created with the principle that a good night’s rest should be accessible to everyone. Muse ships direct to consumer and has other sleep products like pillows and mattress protectors. Check out what we thought about the Muse Mattress below. Tell me more about the Muse Mattress cover. 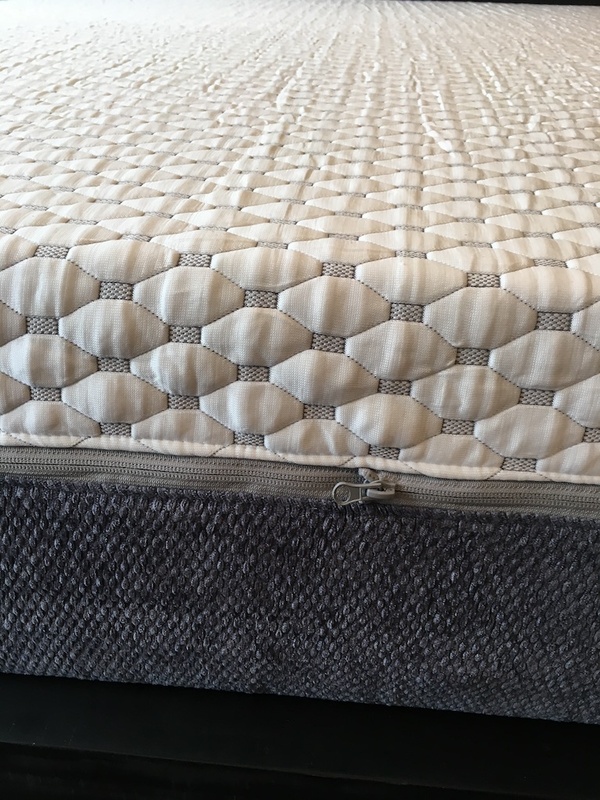 The Muse Mattress has a Cold Wire Plus zippered cover exclusive to Muse and is cool to the touch. 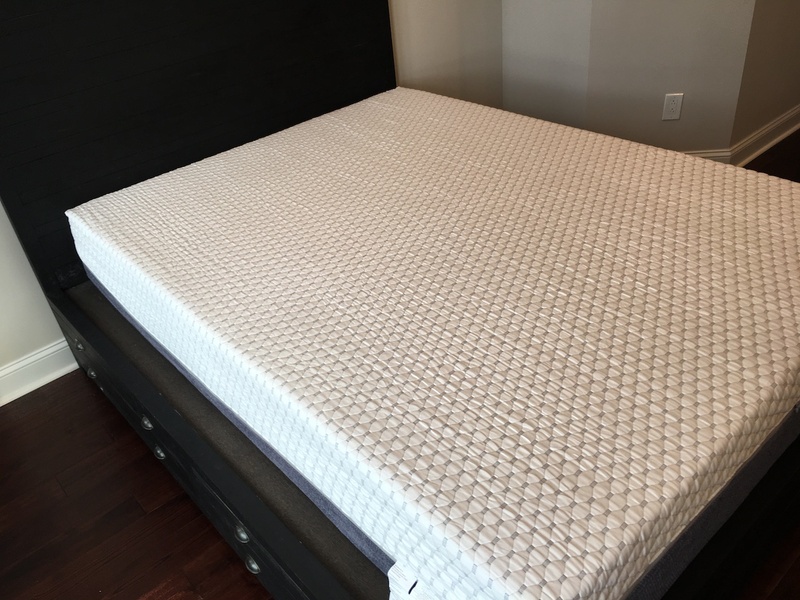 The Cold Wire Plus cover is very comfortable and one of the coolest sleeping covers we have seen on any mattress. What’s Under Muse Mattress cover? The Muse Mattress is memory foam and has 3 layers under the cover. Layer 1 is comprised of 2 inches of 3.5lb density foam infused with gel. This is a comfort layer as well as a temperature regulating layer and is the layer closest to the sleeper’s body. Layer 2 is made up of 2 inches of 4lb density foam. This layer will be customized to the sleeper’s preference in terms of firmness. The Muse Mattress is available in soft, medium, and firm. Layer 3 is an 8-inch base layer of 2lb density foam for support and pressure relief. This gives the two comfort layers of memory foam a support base as well as durability over time. What Sleep Style Works Best with the Muse Mattress? The Muse Mattress comes in soft, medium, and firm levels of comfort. I recommend firm for back and stomach sleepers that prefer a harder surface. The medium firmness would be great for back and side sleepers. Stomach sleepers that like a softer surface could also like the medium mattress if they don’t mind a softer sleep surface. Soft would be recommended for side sleepers or back sleepers who want an ultra-soft sleep surface. The old myth that you should sleep on a firm mattress or you will hurt your back, is not true. You need firm support not a firm sleep surface. Muse Mattress has solid support so you can choose to be comfortable with your sleep surface. What type of base should I place my Muse Mattress on? 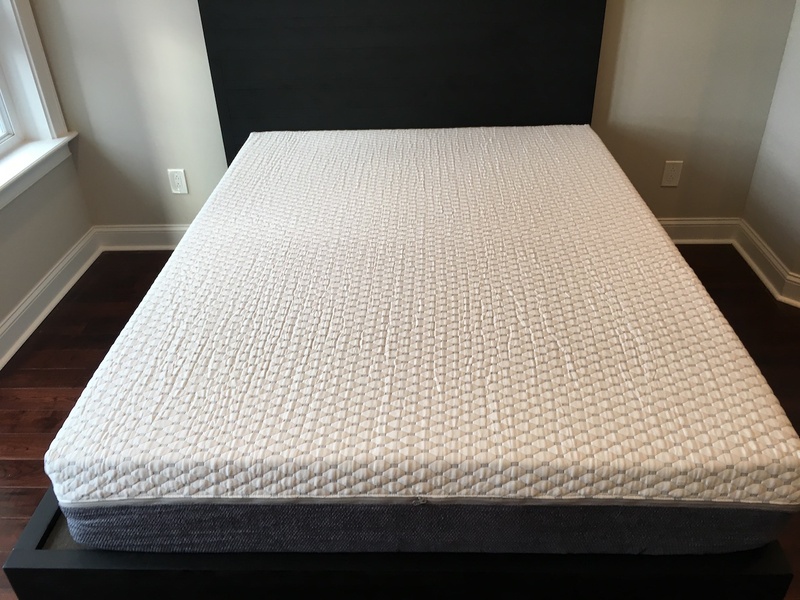 We reviewed our Muse Mattress on a regular bed on top of a box spring. Any flat surface such as a box spring or even the floor would work just fine. What Type of Warranty and sleep trial Does Muse Mattress Offer? Muse has a 10-year warranty and 120-night, risk free sleep trial. How much does the Muse Mattress cost? Do we recommend the Muse Mattress? The Muse Mattress sleeps extremely cool. The Cold Wire Plus cover on the mattress is a perfect option for anyone who tends to sleep hot. Muse has 3 comfort levels so every sleep style is accommodated with their firmness preference. The mattress is high quality and looks and feels luxurious. If you like memory foam mattresses but hate sleeping hot, the Muse Mattress would be a great option for you. 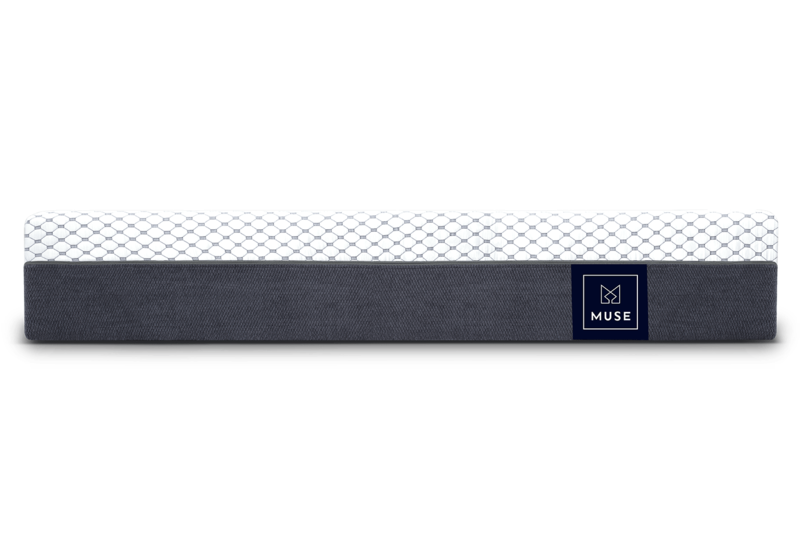 Order Your Muse Mattress here…..